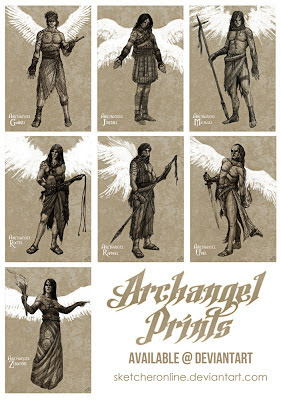 Just writing to let you know that my archangel series is now available as prints through deviantart. Go to sketcheronline.deviantart.com You will find them in that gallery. Hope you like them.